By Canadian Farm Supply based in St. Marys, ONTARIO (CANADA). It's more than a chisel plow. The DiskChisel is the ultimate tillage tool for mixing residue and breaking compaction. Featuring a front row of individually hub-mounted disk blades followed by four ranks of chisel shanks and a 4-bar harrow, it’s an ideal fit for many fall tillage programs. Disks from primary tillage applications in standing stalks to seedbed prep, the 670 Offset Disks are up to the task. A one-piece welded steel frame and adjustable front and rear gang angles deliver the right results no matter the soil type. By Gilsinger's based in Winamac, INDIANA (USA). Make:New Idea. Model:5209. Description:mechanic special discbine. Fits: 200 Series Speed-Loc. Size: 4″ (100 mm). Thickness: 1/4″ (6 mm) 200-PWV-0400. By Landoll Corporation based in Marysville, KANSAS (USA). Prepare a tilled zone and leave valuable residue around it for protection of your tender young crop. 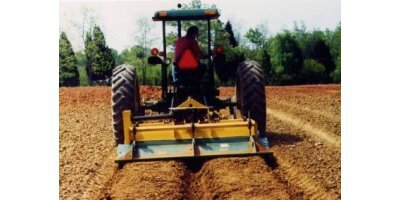 Disturb less soil and residue for conservation of water, soil, and organic material, and eliminate wasteful multiple tillage and chemical application passes. Farm King tillage equipment has been proven over hundreds of thousands of acres and those five decades of groundbreaking expertise have been used to develop the adaptable and rugged Farm King VT3000. By Hicks Machinery based in Horsham, AUSTRALIA. 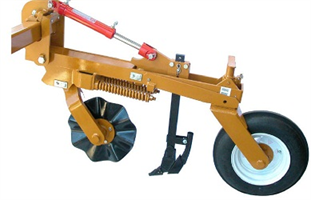 Pro-Till now comes in 20, 26, 33, and 40 foot models to fit your operation. Designed to shred heavy fall residue, open up spring fields, level ruts, destroy clods and produce an absolutely perfect seed bed. Pro-Till® is your single tool for tillage. Introducing Pro-Till by Degelman. 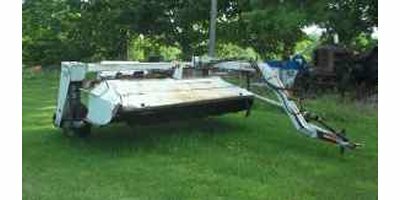 The fastest and most versatile piece of tillage equipment you will ever own. Pro-Till® shreds heavy fall residue, opens up spring fields, levels ruts, destroys clods and produces an absolutely perfect seed bed. Pro-Till® is your single tool for tillage.